"When I was stationed overseas in Sembach, Germany, all of the restaurants served this salad dressing. So simple and so tasty. It's slightly creamy and very tangy. Don't worry if it seems watery, it's supposed to be that way! 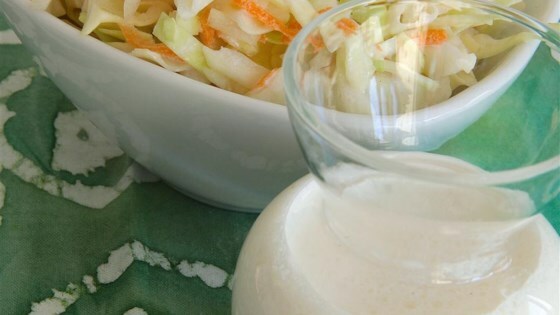 If you like more of a sweeter dressing, try using evaporated milk instead." Whisk the half-and-half, vinegar, salt, and sweetener together in a bowl until the sweetener is dissolved. Was hoping for a creamy alternative for salad dressing... we did not care for this. So simple, so good. I added some garlic and Johnny's seasoned salt the second time I made it. Great recipe, thanks! I love it! It's fast, easy and I love the taste. I've played around with it a little adding different herbs, but you don't need to..it's great!